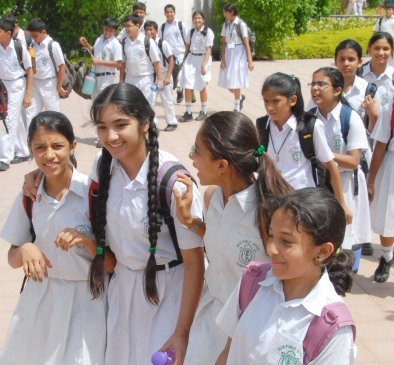 Leaving many schools red-faced is the decision recently made by CBSE. With this move, standard 9th students who had failed to score the minimum 25% in summative assessments (SA-1 and SA-2) together can try one more time. “The board had made 25% passing marks mandatory from 2013-14 sessions. We implemented the rule and asked failures to repeat Std IX. Parents went berserk and pressured us to talk to the board, but we told them rules were rules. We took flak from the parents for playing by the rules and now, a month later, the board says the rules have changed,” principal of a prominent city school said. Class 9th results are declared every year by schools around last week of March. This is the third such opportunity to all class 9th students. First two chances are SA-1 and SA-2. If a student fails the examination, he/she appears for IOP (Improvement of Performance), which, technically, is the second chance. Hence, this special exam is the third chance being offered by the CBSE Board to class IX students. The total percentage of class IX students failing every year is around 5-10 percent, though there are no official reports to support this fact. However, the individual performance of every school varies. “My teachers have to listen to the unending spiel from furious parents. Everyone blames us for not taking initiative of putting pressure on CBSE early on and, in the process, wasting a month,” a Principal of a school said. “Those who cleared the Std IX exams started attending Std X classes that begin in April, before the vacations officially begin. The failed students missed out on this which is making parents more furious. Had the CBSE informed us in March itself, all this could have been avoided,” a teacher said. During 2013-2014 academic sessions, the CBSE Board had made it mandatory for students to score at least 25% in SA-1 and SA-2 cumulatively. The idea was not really liked by the students, which prompted CBSE to offer students a new lifeline. “It has come to the notice of the Board that this being the first year of implementation, a number of students/parents were either not aware of the rule or the students could not cope even after the improvement examination… The schools are accordingly requested that candidates who failed to obtain 25% marks even after IOP be given one more chance by July this year as a special case,” KK Choudhury, controller of examinations at CBSE, wrote to the schools. “If someone fails twice, why would you go out of the way to give another chance? I think no one deserves three chances and you might as well give them passing mark without an actual exam,” a principal said. « Seamless video watching on 2G? The right time is now!